All students enrolled at WMS participate in Specialist Classes. ​These classes are taught in small groups in a designated room by Specialist Teachers in each subject area. French specialist classes are taught by Ms Leslie. During her small group lessons students learn the basics of French language including greetings, useful vocabulary, sayings and songs. 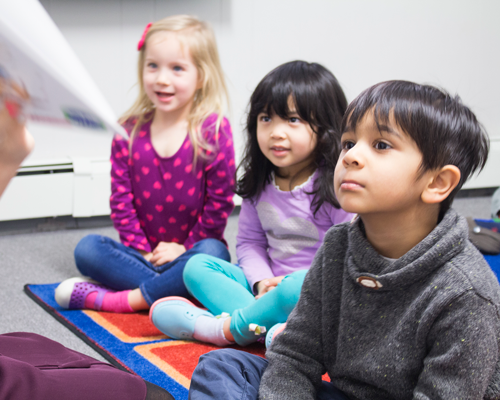 Ms Leslie's child-friendly approach to language acquisition makes the alternate language program an enjoyable and enriching time for the students. Yoga instruction is provided to all our students by Ms Tanya. In groups of 10 or less, students explore movement, learn poses, develop mastery over their gross motor skills. Developing their yoga practice allows students to channel their energy and focus so that they are better able to participate in the classroom programs. 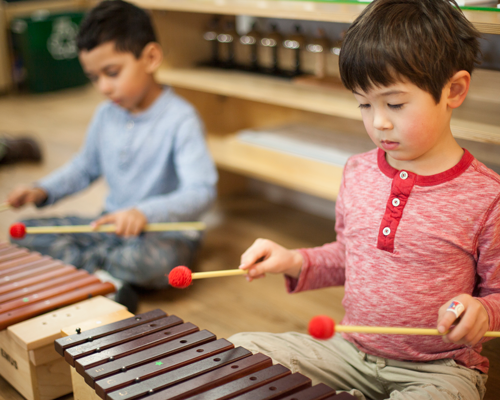 ﻿​﻿Taught by Ms Chloé, an accomplished musician, the Orff Music program at WMS introduces children to the musical abilities that they have naturally and seeks to enrich those abilities. Using patterns, beats, song and movement, students explore music in a positive and encouraging environment.